In this FP Markets review, we are going to take a closer look at the popular broker who made a name for themselves across the globe as a solid investment platform. 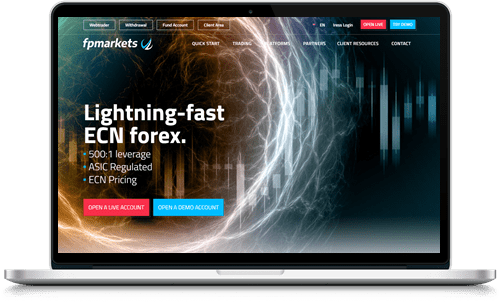 FP Markets is one of the top leading CFD platform and forex brokers out of Australia and an up and coming brand that continues to be recognized for their excellent product and the extensive selection of assets. Want to learn more about FP Markets? Check out this comprehensive and completely unbiased broker review. Primary markets: UK, EU, Australia, and Canada, moreover FPMarkets is available in many other countries as well. Visit their website and find out if you can open an account with them. FP Markets is an exciting and innovative broker from Australia that has quickly grown into a favorite broker among many. And if you don’t want to take our word for it, their 20,000+ international customers, ASIC license and 30+ business awards should be enough to convince you that FP Markets is an excellent broker for traders in Europe and elsewhere. As always when reviewing brokers, we like to get the most important question out of the way, to begin with, which means answering whether FP Markets is trustworthy or not. The easiest way to do that is to check what licenses the broker has and who is regulating them. In the case of FP Markets, things are a bit different than many of the other brokers we recommend, although that doesn’t mean you need to worry. Since FP Markets is an Australian broker with their head office in Sydney, they have focused on becoming regulated in that region first. This means that FP Markets has a trading license and is regulated by the Australian Securities and Investment Commission (ASIC). Luckily, ASIC is one of the best and strictest regulatory bodies in the world which means that trading with FP Markets is safe. In addition, we contacted FP Markets regarding their regulations, and they confirmed that they are working to become regulated in local markets as well. For example, FP Markets recently opened an office in Cyprus, and we could expect them to be regulated by the Cyprus Securities and Exchange Commission (CySEC). However, until then, you can rest assured that FP Markets is regulated and overlooked by the financial regulatory body of Australia and there is no reason for you to not trust the broker. Also, FP Markets has more than 14 years of experience and a solid reputation for being safe. Before we continue our review of the FP Markets we are going to list a few interesting facts about the up and coming broker. FPMarkets are regulated by the Australian Securities and Investment Commission (ASIC), which is known as one of the hardest licenses to get in the trading world. It’s safe to safe that FP Markets are safe to trade with. FP Markets is one of the most up and coming brokers in the world right now, they have impressed the whole industry with their top-notch service and respected platform. FP Markets offers what could be the cheapest trading in the industry. Their fees are very competitive. If you are looking for a ton of assets then FPMarkets is the broker for you. They offer over 10.000 tradable assets. FP Markets offers 500:1 leverage, something that is very rare among brokers today. Today FP Markets has a pretty impressive selection of assets and perks such as true ECN spread of zero, etc. The broker claims that they offer over 10,000 products, but we are not sure how they counted that. Instead, it seems more accurate to say that there are several hundred CFDs and forex pairs to trade with. (It could also have to do with the IRESS platform, see below). In other words, there is definitely something to trade for everyone. FP Markets’ selection includes everything from currency pairs and commodities to indices and cryptocurrencies. In fact, their massive selection is one of the biggest we have ever seen. Also, FP Markets is continuously working on extending their selection, and by having an account with the broker, you will be offered new trading opportunities on a regular basis. A large part of that effort is an excellent demo account that lets you practice trading without the risk of losing real money. For many traders, a demo account is an essential tool that they can’t be without so it’s always a plus to find brokers with demo accounts. You can open a demo account here. One of the most interesting and exciting aspects of FP Markets is their collection of trading platforms. First and foremost, FP Markets offers traders access to the MetaTrader 4 and the MetaTrader 5 which as you probably know are two of our favorite trading platforms. It’s just easy and straightforward to trade on MetaQuotes’ platforms and that’s why we love brokers that offer them. However, if you want something different and more exciting, FP Markets has just the platform for you. The IRESS trading platform is an innovative web-based trading platform with several impressive features. Besides advanced charting, Mac and PC compatibility, customizable interface, and real-time market feed, the IRESS provides access to 10,000+ instruments. 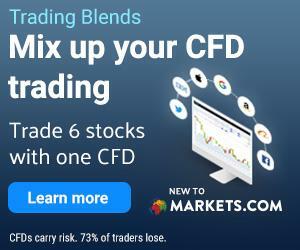 Moreover, FP Markets has a range of exclusive trading tools that can come in handy for both beginners and advanced traders. But there is more to it than that. FP Markets also provides a range of different account types for a personal experience based on how and what you are going to trade. FP Markets is readily available for any and every trader, and their mobile compatibility is flawless. In fact, all three of the platforms (MT4, MT5, and IRESS) are all mobile compatible with Android and iOS. In other words, with an FP Markets trading account you will be able to trade wherever and whenever you feel like it. They offer one of the best trading apps available on the market. As a world-leading forex and CFD broker, FP Markets is required to offer a lot of practical payment options. In addition to credit and debit cards as well as two handfuls of supported currencies, FP Markets allows traders to deposit money using Neteller, Skrill, Online Pay, POLi, FasaPay, and more. You’re also offered the possibility of transferring funds from another broker in case you decide to switch and would like to avoid keeping funds with two brokers. FP Markets offer very competitive fees, in fact, they offer a very cheap trading experience compared to many of their competitors. If low fees are of high importance to you rest assured FP Markets delivery some of the best fees in the industry.